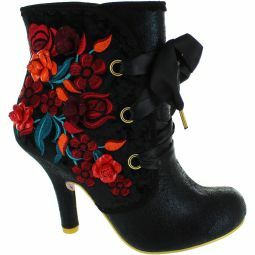 Enveloped in delicate embroideblack lace with floral embroidery, a split front slipper style with a metallic bow. 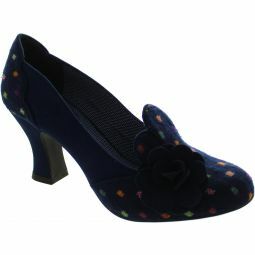 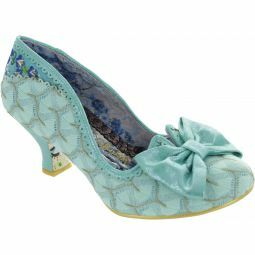 A feminine lacy mid heel that is sure to put a smile on your face and a spring in your step. 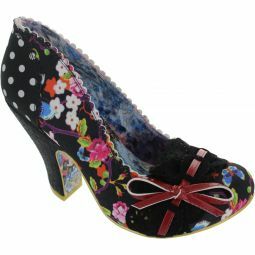 Lace layer upper.